At Instore Agency, we always strive to minimise our environmental impact – our goal is to help our customers do the same. 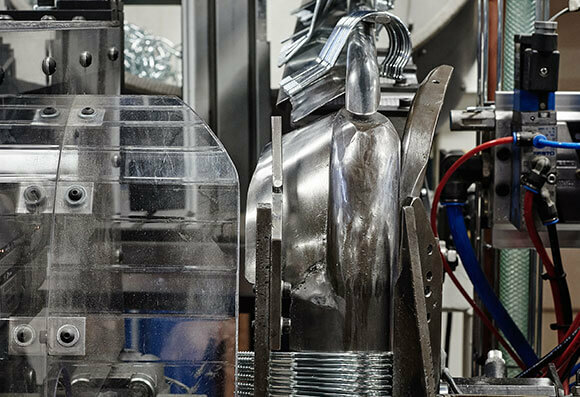 One of the main ways we do this is by manufacturing quality products that can be used time and time again. 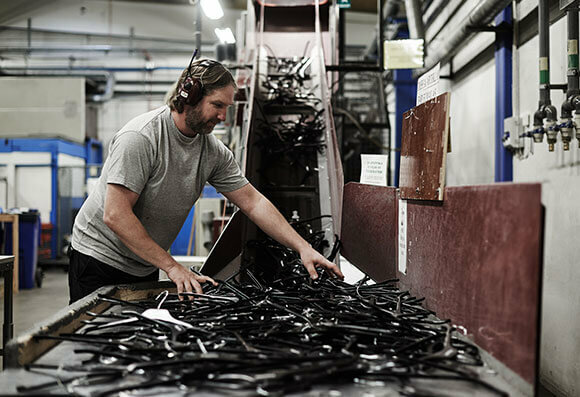 On average 85% of the materials used to make our plastic hangers are recycled at our factories in Lidköping, Sweden and Gorzow, Poland, which have their own recycling facilities. 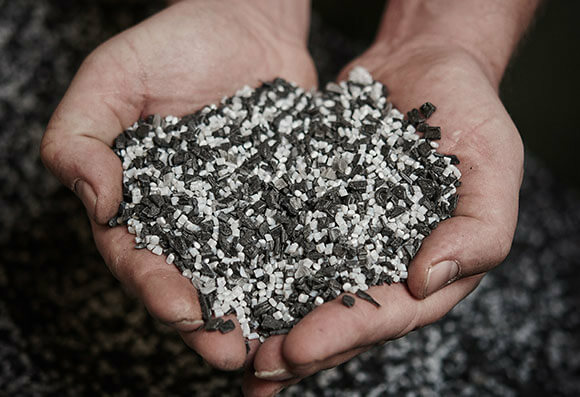 We have our own recycling programme that has enabled us, together with our customers, to save over 2,500 tonnes of polystyrene over the last five years. 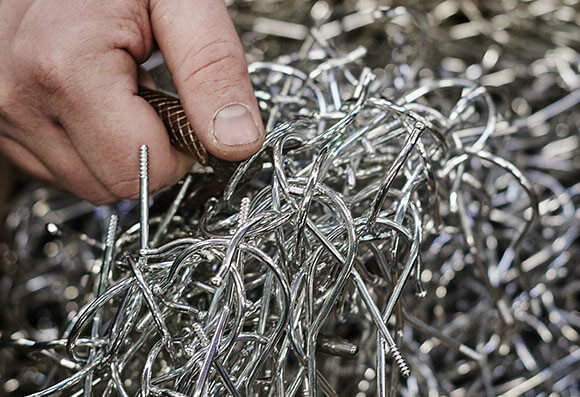 Over the same period, we’ve repaired over half a million hangers at our factory in Lidköping. 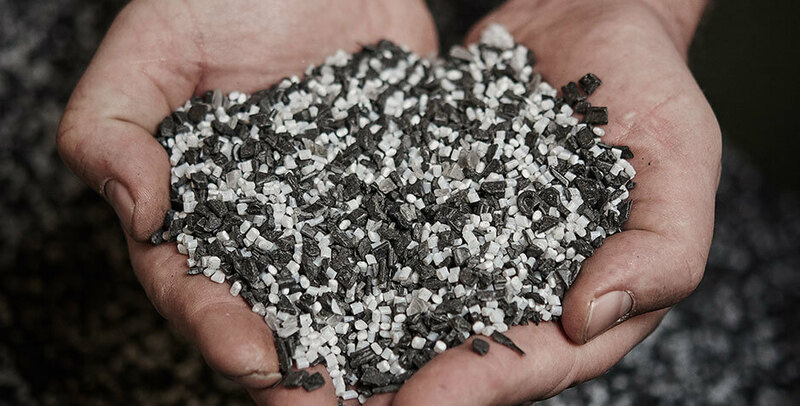 Recycling benefits not only the environment but also our customers, who are paid for the materials they recycle with us. You can see how the cycle works further down the page. In 2016 we were one of three Swedish companies to be nominated for the Recycler of the Year prize at the Swedish Recycling Awards. This is clear proof of the importance of our environmental and recycling programmes, and proof that they really work. We offer bags made from both recycled polystyrene and 100% biodegradable plastic. Of course, the best thing for the environment is to reduce the number of plastic bags we use. Many people are turning to cotton bags, but the production of just 1 kilo of cotton requires between 10,000 and 17,000 litres of water and a kilo of various chemicals. Instead of cotton, we recommend our polypropylene (PP nonwoven or PP woven) reusable bags. The bags are made using energy-efficient processes, and thanks to their durability they can be used over and over again. If you want to take things a step further, choose one of our R-PET reusable bags. R-PET is recycled plastic, which makes the bag even more environmentally sustainable. Find out more about our PP and R-PET bags here. Thanks to our wide range of products, you can reduce the number of supplier you use. Furthermore, our smart logistics solutions can help you to minimise the number of deliveries. This not only reduces emissions but also decrease your administrative workload, allowing you to cut your costs. We have suppliers around the world, which means we can manufacture, store, and supply our products close to where you manufacture and sell yours. 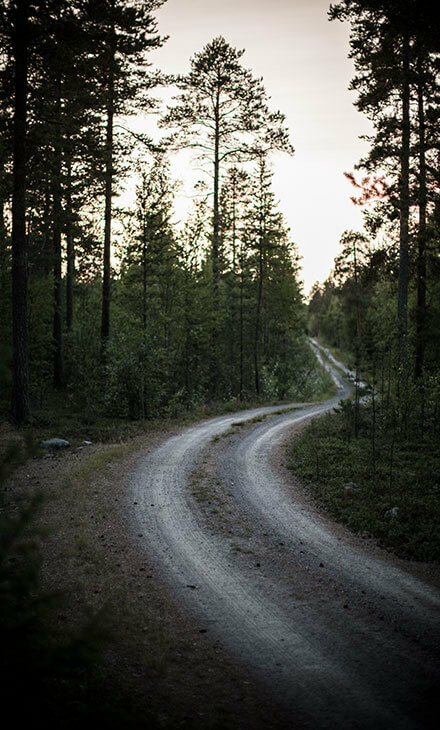 We are affiliated to a Swedish nationwide recycling system for packaging (FTI) and so are recognised as a responsible producer for recycling packaging. We currently pay SEK 1.74 per kilo for plastic bags, and SEK 1.25 per kilo for paper bags and packaging. We charge these fees as separate items for each purchase. Our suppliers of wooden hangers, paper bags and gift boxes are FSC® certified, which means that the material comes from forests that are managed sustainably to reduce the environmental and social impact, FSC® -C130119. We also comply with REACH – an EU regulation adopted to improve the protection of human health and the environment against the risks that can be posed by chemicals. Please get in touch to find out more about how we can help your company with your environmental efforts. 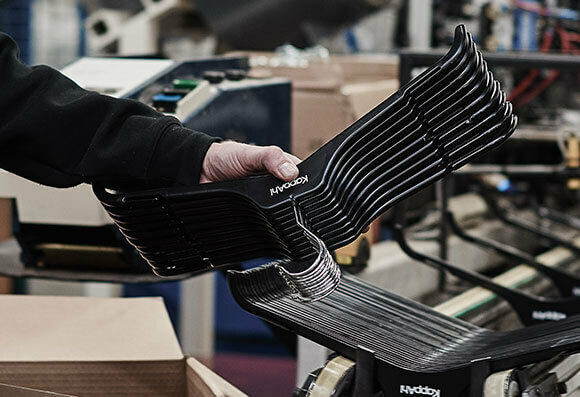 Customers pack used hangers in special recycling bins that are returned to our factory in Lidköping, Sweden. 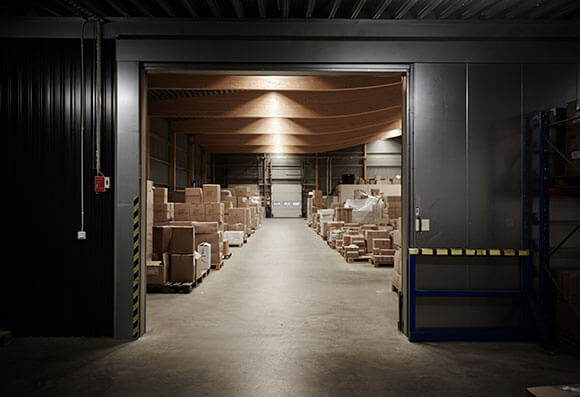 The hangers we get back are sorted by those that still meet our quality requirements, those that need to be repaired, and those that need to be melted down for new hangers. A partnership with the Municipality of Lidköping enables us to offer employment to people with disabilities. They work to repair the hangers that can be repaired. The metal of any hangers that are beyond repair is separated from the plastic. The plastic is then melted down and the metal is sent for recycling. The recycled plastic is turned into new hangers that are sent to our customers. The cycle is complete.